Nexus 1000v - will the network fail if the VSMs fail? 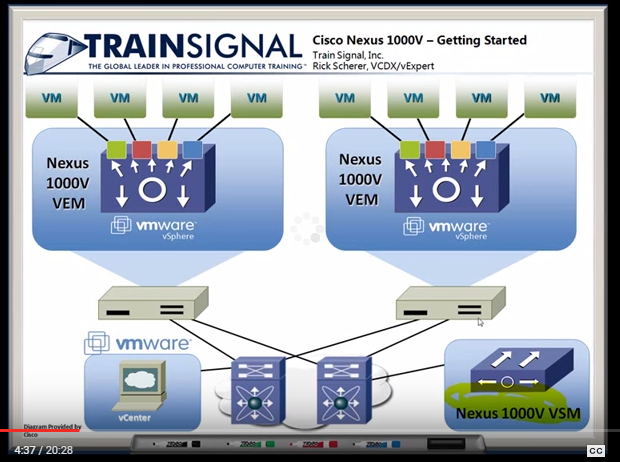 At current client there has been some concern regarding the robustness of the network in relation to Nexus 1000v. It's a vSphere 5.5 environment running in Vblock with Nexus 1000v switches (bundled with Vblock). The question was whether the network on the ESXi hosts is dependent on the two management 1KV VMs and if the network will fail entirely if these two VMs are down. Furthermore, there was a question whether all ESXi traffic flows through these two VMs, the management VMs were being perceived as actual switches. The answer is, for most, probably pretty straight forward but I decided to verify anyway. 1) By adding Nexus 1000v to your environment you may receive some benefits. But you also add complexity. 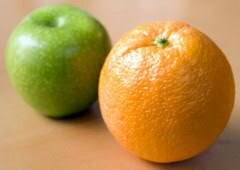 Through the looking glass of vCenter, it is simply easier to understand and manage a virtual distributed switch (vDS). Some network admins may disagree of course. 2) From Googling a bit and also from general experience, it doesn't seem like that many people are actually using the 1KV's. There is not much info to be found online and the stuff there is seems a bit outdated. The Nexus 1000v infrastructure consists of two parts. 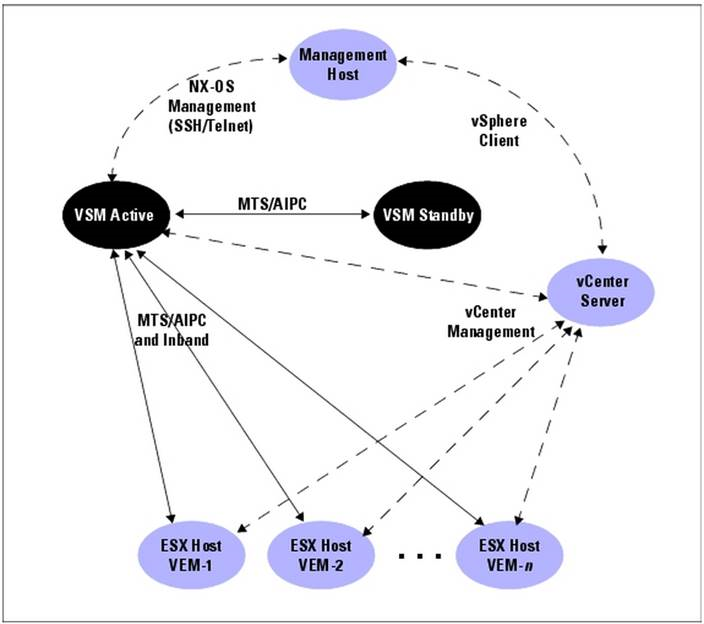 Even if both VMSs should fail, the network will continue to work as before on all ESXi hosts. 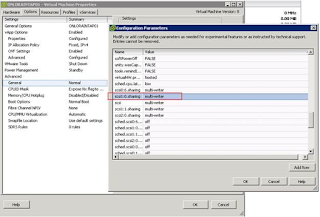 The network state and info/configuration is kept separately on all ESXi hosts in the VEM. However, control is lost and no changes can be done before the VSMs are up and sync'ed again. For the other question, no, the VM traffic does not flow through the VSM, they are only for management. The VM ethernet traffic flows through the pNICs in the ESXi hosts and on to the network infrastructure. The same as with standard virtual switches and vDS'es. 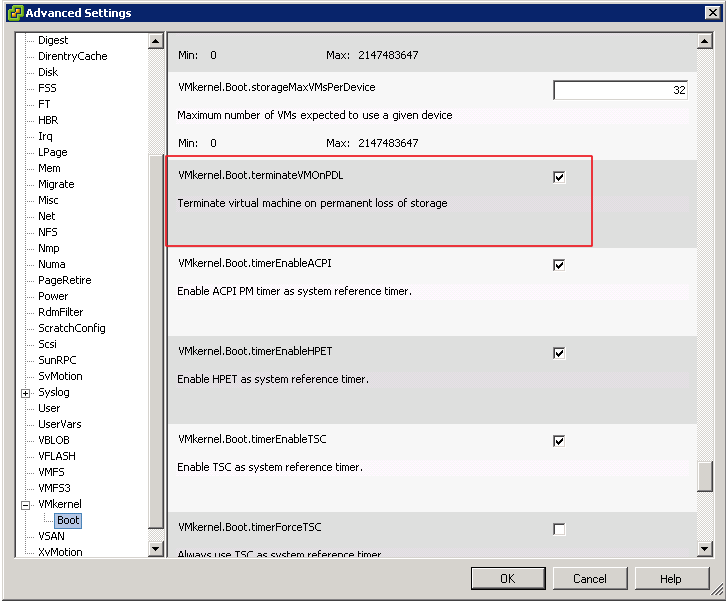 This means that the VSMs cannot be a bandwidth bottleneck or single point of failure in that sense. For documentation: See 45 seconds of this video from time: 14.45 to 15.30. Certain applications use shared disks (Oracle RAC and NFS clusters due to clustering features). These can be vMotion’ed between hosts (for RAC you have to be careful for monster VMs and high loads as the cluster timeout has low threshold that can be reached during cut-over), but svMotion is not possible. Migration of disks will have to be done while both virtual machines (or all VMs in cluster) are shut down (cold migration). The method involves shutting down both primary and secondary node, removing the shared disk that has to be migrated (without deleting it) from the secondary node, migrating the disk to new LUN from primary VM, and then re-adding the disk to secondary node after migration is completed (including configuration of multi-writer flag for disk). After this both VMs can be booted. 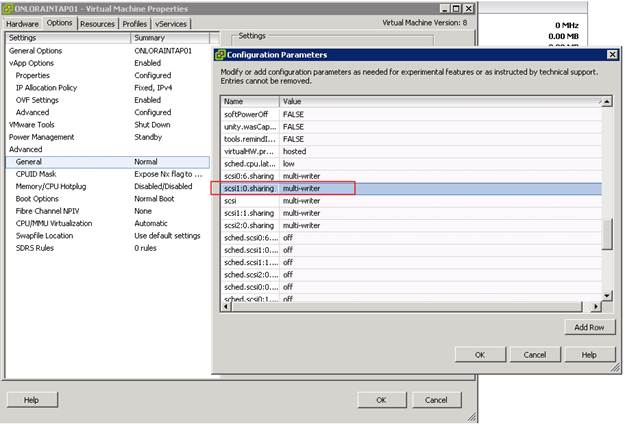 For secondary VM, go to Edit Settings -> Options -> General -> Configuration Parameters -> Add row and add the multi-writer flag to each of the re-added disks. At my current client we are doing a number of non-functional requirement (NFR) tests involving storage. One of them is about removing a LUN to see if HA kicks in. 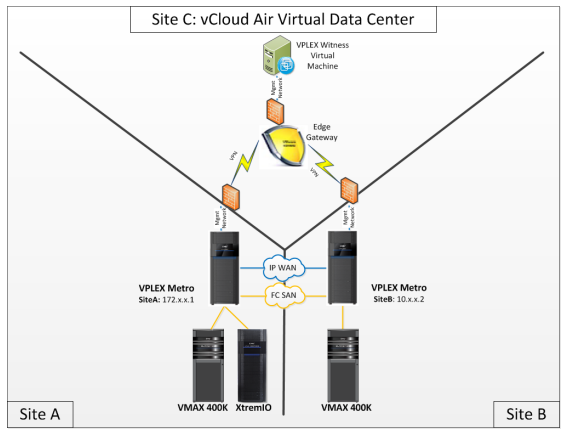 The setup is an EMC VPLEX Metro stretched cluster (or cross-cluster) configured in Uniform mode. So active-active setup with site replicated storage and 50% of hosts on each site. 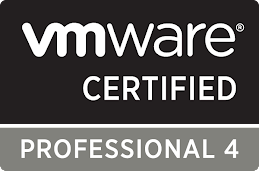 And vSphere 5.5. What complicates things in a stretched Metro cluster in Uniform mode is that even though storage is replicated between sites, the ESXi hosts only see storage on their own site. 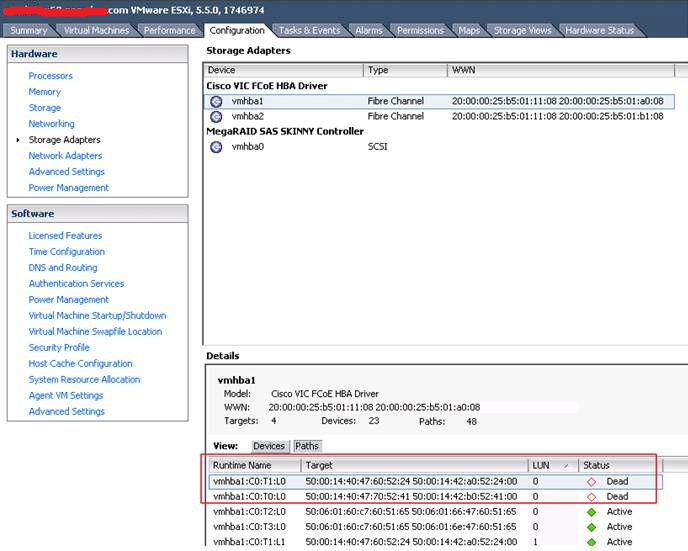 So if you kill a LUN on one site A in VPLEX, the hosts in site A will not be able to see LUNs on site B and HA therefore is required. My initial thought was that cutting/killing a LUN on the VPLEX would make the VMs on that LUN freeze indefinitely until storage becomes available again. This is what happened earlier with vSphere 4.x and it was a real pain for the VMware admins (an all-path-down (APD) scenario). However, as of vSphere 5 U1 and later, HA can now handle a Permanent Device Loss (PDL) where a LUN becomes unavailable while the ESXi hosts are still running - and the array is still able to communicate with the hosts (if array is down, you have an APD and HA will not kick in). This has been documented well by Duncan Epping on Yellow-Bricks and on Boche.net. And a bit more info here for 5.0 U1. 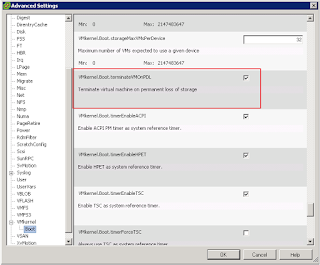 A reboot of the ESXi host is required for the two changes to take effect.